The Law Library and the Anne Arundel County Circuit Court are closed today, November 12, 2018 in observance of Veterans Day. The law library and court will reopen on Tuesday, November 13. Except on Court Holidays, the Library is open Monday through Friday, from 8:30 a.m. until 4:30 p.m. A list of Court Holidays is available on the Circuit Court’s website at http://www.circuitcourt.org/court-holidays. Veterans Day was originally known as Armistice Day, commemorating the end of World War I. 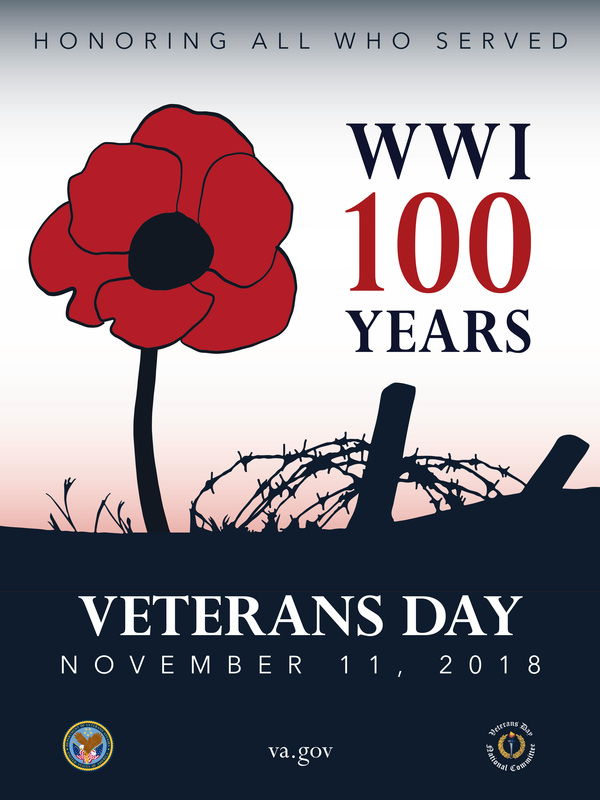 This year marks 100 years since the end of that war. In 1954, the name of the holiday was changed to Veterans Day to honor veterans of all wars. Read more here. For information on the 2018 Maryland general election please visit the website of the Maryland State Board of Elections. There you can everything you need to know for election day on your voter lookup page – from verifying your voter registration, finding your polling pace or reviewing your sample ballot. ALA, the American Library Association of Libraries, “celebrates” Banned Books Week this week. The website states “it brings together the entire book community — librarians, booksellers, publishers, journalists, teachers, and readers of all types — in shared support of the freedom to seek and to express ideas, even those some consider unorthodox or unpopular.” Check out the lists of the top ten banned books over the years – you might be surprised. The Law Library and the Anne Arundel County Circuit Court are closed today, September 3, 2018 for the Labor Day holiday. According to the U.S. Department of Labor, “Labor Day, the first Monday in September, is a creation of the labor movement and is dedicated to the social and economic achievements of American workers. It constitutes a yearly national tribute to the contributions workers have made to the strength, prosperity, and well-being of our country.” Read more on the DOL’s page, the History of Labor Day. The Law Library will reopen tomorrow, Tuesday, September 4, 2018. A list of Court Holidays is available on the Circuit Court’s website at http://www.circuitcourt.org/court-holidays. Except on Court Holidays, the Library is open Monday through Friday, from 8:30 a.m. until 4:30 p.m. The People’s Law Library of Maryland has a new look. We were accustomed to the look and feel of this important website since we use it many times everyday and so were a bit surprised to see the new design with Maryland colors pop-up on the screen. People’s still provides the links we refer to everyday – the legal directory, the legal clinics listing, and, of course, all of the legal information on topics important to Maryland citizens. The People’s Law Library of Maryland is an important tool that we use all of the time. It makes assisting those that call in or email with questions so much easier as long as they have a computer or smart phone. People’s articles can be a part of almost every reference response for non-attorney questions. We are fortunate to have such a great resource in Maryland.